S.S. Westmoreland under way. There is a launch along the starboard side keeping up with the ships under the second set of four derricks. Also it appears there is a hawser off the bow indicating that the ship was under tow by a tug or other vessel at the time the photo was taken, pre-war. The British “red duster” for the merchant marine is clear off the transom. Photo Source: Uboat.net, http://www.uboat.net/allies/merchants/ships/1730.html, Courtesy of the Allan C. Green collection. The steam ship Westmoreland was a refrigerated steam ship completed in April, 1917 by the D. & W. Henderson & Company Limited of Glasgow, Scotland, on the River Clyde. She was yard number 492. The ship weighed 9,512 gross registered (originally 8,967) tons and her dimensions were 473 feet in length by 60 feet in beam. Twin steam turbines turned two propellers to move Westmoreland at 15 knots. Her owners at the time of los were the Federal Steam Navigation Company, Limited, of London. Her ultimate owner was the New Zealand Shipping Company, also of London, and the ship features prominently in the history of that company, “Ordeal by Sea,” written by Sydney Waters, in 1949. During World War II the Westmoreland participated in nearly 50 convoys, including BHX 54 from Bermuda to Halifax in June, 1940, as well as voyages to and from ports in Australia and New Zealand. She called at ports as diverse as Adelaide and Haifa, Curacao and Colombo, New York (in September 1941) and Balboa. On the 29th of January 1941, whilst setting out from Glasgow to Liverpool then New Zealand, the Westmoreland struck two German mines which had been sowed by aircraft. Despite being three miles from the Bar Light Vessel, Mersey, and having 32 feet of seawater in her engine and boiler rooms, the ship was ultimately towed into Liverpool on the 31st of January. Though initially abandoned, Captain H. A. Fryer had HMS Wild Swan deliver the crew back on board twice in rough conditions to assist in saving his ship. The ship was repaired and back in service in a number of weeks (Waters, pp. 79-80). 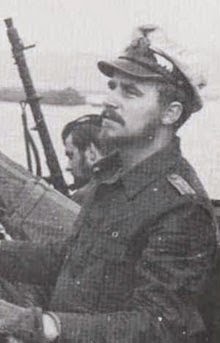 Among the Westmoreland’s early skippers were Captain Edgar R. Kemp, a veteran of the Gallipoli campaign, as well as Captain Fryer. Captain Ernst Arthur Burton, from Devon, England, was Westmoreland’s master on her forty-second and final voyage from April to June, 1942. The ship was armed with a four-inch gun, a 12-pounder gun, twin Hotchkiss machine guns, two Lewis and two Savage Lewis machine guns, one Oerlikon cannon, a pair of depth charges, two P.A.C. rockets as well as illumination kites. All of her 68 officers, crew and gunners (two army and four naval) were British. The engine department was led by A. W. Cass, Chief Engineer, assisted by J. H. Long, Chief Refrigerator Engineer. F. W. Elliott was the Fourth Officer and two cadets were D. G. Fletcher and A. M. Deal. Patrick Grady was a DEMS (Defensively Armed Merchant Ship) Gunner in the Royal Navy (age 24), Edward Kennett Russell, 22, was an Able Seaman, and Thomas Hugh Matheson, aged 39 was a Greaser (these latter three all perished). 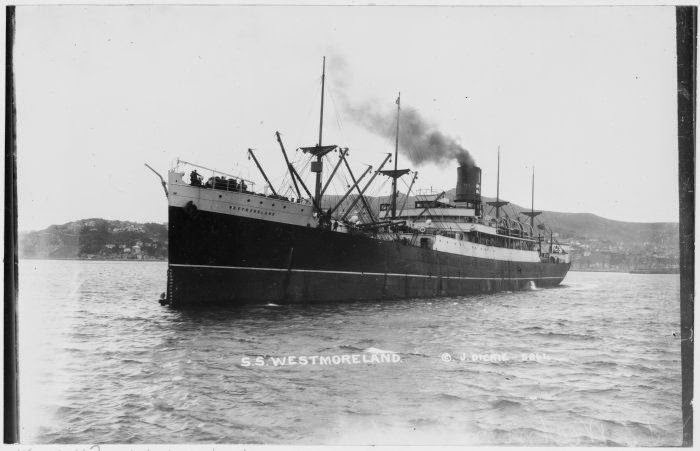 The Westmoreland set sail from Wellington, on New Zealand’s North Island, on 26 April, 1942. Along with 400 bags of mail in the number four hold and six other mail bags in the strong room, she was loaded with roughly 9,000 tons of butter, cheese, meat, wool and general cargo. Specifically there were 3,235 tons of butter, 20,820 lamb and mutton carcasses, 7,400 pork carcasses, 20,450 crates of cheese, and 9,554 bales of wool (Waters, pp. 130-131). After arriving in Balboa Panama on the 22nd of May she cleared Colon on the 25th (Uboat.net – Waters writes that it was the 22nd of May). Her next destination was Halifax, were presumably she was to join an eastbound convoy to her final destination of Liverpool, where her supplies were much in need. After passing through the Virgin Islands Passage (presumably Mona or Anegada Passages), the ship passed 30-40 miles east of Bermuda. Her voyage orders were to steer a “straight course to Halifax” and to pass 40 miles east of Bermuda. The ship was zig zagging on pattern #25 which required periodic course changes of 50 degrees off base course. Unbeknownst to the merchant mariners, they had sailed into the periscope sights of German submarine U-566 under the command of Kapitänleutnant (later Korvettenkapitän) Dietrich Borchert, aged 23. 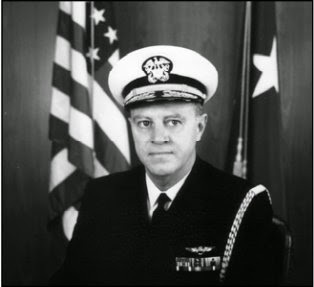 Early in his naval career Borchert was involved with naval aircraft weaponry in a leadership capacity up to November 1939, when he joined the U-boat arm. He began as an instruction commander and from August 1940 led U-24. He commissioned U-566 in April 1941 and led her on this patrol a year later. Kapitänleutnant Dietrich Borchert, commander of U-566 which sank S.S. Westmoreland north of Bermuda in June, 1942. There were six lookouts on duty aboard the Westmoreland at the time: one each on either side of the bridge, one above the bridge and one on the forecastle at the bows. The two other lookouts on the gun platform had binoculars. The Second Officer was settling into the rhythm of the dog watch at 01:50 am local (ship’s) time when a torpedo fired by Borchert slammed into the third cargo hold back from the bow on the port side. Though the Mate didn’t see smoke or a column of water, there was a flash and a strong smell of cordite permeated the ship. The shock woke Captain Burton who rushed to the bridge. By that time Chief Engineer Cass reported that both the boiler rooms (stoke holds) and engine room were filled with escaping steam and thus Westmoreland was quickly losing headway. No sign of a submarine had been seen up to that point. The confidential merchant signals and routing instructions as well as the radio code books were thrown over the side. Captain Burton observed that the port-side boat deck was badly damaged, the beams of the Number Three hold hatch were broken, and the protection around the wheelhouse had collapsed, blocking the chart room. The Chief Officer reported finding a piece of the propeller from the torpedo on his tour of the boat deck. The original caption for this images is “Steamship Westmoreland in Wellington Harbour photographed circa 1820s by John Dickie. Burton assessed that as his ship was “settling rapidly by the head” (TNA Kew) he would blow the signal to abandon ship, however due to lack of steam the sound emitted was but faint. Communication between the bridge and engine room was severed. The Chief Radio Officer was able to send out SSS signals for submarine attack on the emergency radio set, and his messages were acknowledged by Canadian stations. Although the port lifeboat snagged on entry into the water and was rendered useless by swamping (no one was in it at the time) the three other lifeboats were successfully launched. Sixty five men (minus the A.B. Kennett, the Gunner Grady and Greaser Thomas, who had perished), managed to get into these three boats and get away from the ship. While Captain Burton’s boat was only 100 or so yards from the Westmoreland there was a large explosion near his boat, presumably from a shell fired by U-566 which fell short of the mark, however Borchert is said to have fired a coup-de-grace shot at 02:32 am and it may have been this concussion which the men in the boats felt. The next few minutes were (thankfully) quiet as the boats rowed away from the stricken mother ship. (The U-boat is convinced that the second torpedo detonated against the side of the Westmoreland, whereas the men in the boats are emphatic that it exploded fifty yards off the starboard quarter, possibly after striking debris). On board U-566 was paying close attention, noting that “Steamer reports the torpedoing on 600 meter wave with the emergency transmitter. Name “WESTMORELAND”, home port London. Steamer had four turbines, 2 propellers, cooling equipment. 9000 GRT. Fully loaded.” At 02:32 he fired a coup de grace torpedo from Tube Five from 3,300 feet. It was a hit forward of the stem 40 meters. Borchert reported “Heavy black explosion cloud. Swirl of cargo remnants later determined to be butter and cheese.” By now the cargo was spilling from the ship and littering the sea surface. Then at 03:20 am (3:20 am according to Borchert), the gunners on U-566 began shelling the steam ship over the heads of the survivors in the boats. Because of a half-mile’s distance from the surfaced submarine to the ship, most of the initial shells fell short. This problem was rectified after five or six rounds and soon the projectiles began landing on the hull. U-566 utilized two guns forward and one aft, and expended roughly 60 rounds. Meanwhile Burton kept the three lifeboats together for mutual protection at first, hoping that rescue craft from Bermuda or elsewhere would be on their way, as indeed they were. By 1:00 pm, no help having been sighted, the Captain ordered the boats to sail to the northwest, towards the mainland and away from Bermuda, and to keep together. The conditions at the time were rough, with a wind from the south at about 25-30 knots. Two of the boats with 45 men in them soon outstripped their captain’s life boat and sailed on over the horizon on the first night. On the afternoon of the first day all three boats sighed an aircraft high overhead, however they were unable to attract the attention of its operators, or to communicate with it in any way. However on the afternoon of Tuesday the second, the 45 men in the other two boats were sighted by a Bermuda-based aircraft which communicated with them by signal lamp and dropped them food. A flying boat was seen by U-566 at dusk on the same day and the sub crash-dived without being seen by the plane, which was 6,000 meters away. Planes were not all which were sent from Bermuda, as the NOB base diary records “USS GANNET AND HMS SUMAR proceeding about 0200Z 2nd to rescue two WESTMORELAND lifeboats 35 survivors. GANNET and SUMAR also to Attack Axis sub if encountered. R-6 keep clear and return to patrol area. R-6 acknowledge.” USS Gannet was a minesweeper built for the US Navy in New York in 1919. In June 1942 she was under the command of Lieutenant Francis Edward Nuessle. HMS Sumar was an armed patrol yacht. Lieutenant Francis Edward Nuessle, Command or USS Gannet which went to the aid of Westmoreland survivors on Tuesday the 2nd of June, 1942. A graduate of the United States Naval Academy in Annapolis Maryland in 1932, he attained Read Admiral and commanded the aircraft carrier USS Princeton when she was VC 37. In the lifeboats, each boat had 40 gallons of fresh water, “chocolate, and all the new type of food,” according to Burton (TNA Kew). However there was no pemmican, or meat paste – Burton had requested this item in New York some time previously but been told there was none available at the time. There were blankets in each boat but not protective hoods. As a result the men suffered badly from exposure to the sun and experienced sunburn during their days on the open water. Later the other two boats were rewarded by rescue Wednesday the 3rd of June when the Canadian steamer Cathcart fortuitously came upon both boats and rescued their occupants. They were landed in Halifax on Saturday the 6th of June. The Cathcart was a 3,708-ton steam ship built in Canada by the Davie Shipbuilding & Repairing Company in 1920 as the Canadian Hunter for the Canadian Government Merchant Marine (CGMM). In 1929 she was transferred to Canadian National Steamships and renamed Cathcart (theshipslist.com). Burton’s lifeboat experienced a problem: the pintle which held the rudder to the boat’s hull was damaged and became unusable. This was rectified by boring a hole in the rudder and lashing it to the boat, however by the time it was accomplished the other two boats had sailed out of sight. Fortunately for Burton and his men, the US-flagged steams ship (later troop transport) S.S. Henry H. Mallory came upon their lifeboat on the sixth day of their ordeal – Saturday the 6th of June – and took them to New York Harbor, where they were landed on Monday the 8th, exactly a week after they were torpedoed. Horace Rudolph Weaver, Captain of the Henry R. Mallory, was wary of the red sail he sighted on the boat and for good reason – German submarines had sunk 125 ships of 600,000 tons in May of 1942 and would go on to sink 144 Allied vessels of 700,000 tons that month – June (Waters, p. 131). After half an hour of investigation, the skipper’s fears that the lifeboat was a German trap were assuaged and so he brought his vessel over to Captain Burton and the 19 other men in his boat. Apparently the men on the Henry R. Mallory never saw the red flare which the survivors had lit, probably because it was under the mid-day sun. 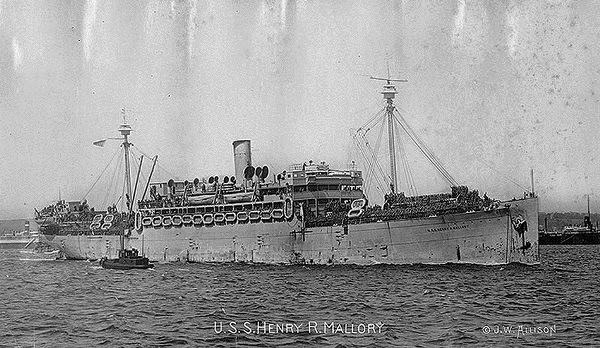 The USS Henry R. Mallory, the US troop transport which rescued 20 men from the Westmoreland. She was herself sunk by U-402 under von Forstner on 7 February 1943 with the loss of 272 men out of a total roster of 494 (222 were rescued) between Halifax and Iceland. The survivors were landed in New York on Monday the eighth of June. Aside from sunburns the men were comparatively alright and did not require hospitalization. One of the survivors landed in Canada was an officer named R. W. Coen, who survived several attacks by German aircraft and U-boats. He was on the Westmoreland when it was both mined and torpedoed, and aboard the SS Piako when it was sunk by U-107 under Hessler off West Africa on the 18th of May 1941. Within 1942 he was to survive yet another merchant ship sinking. The Chief Engineer of the Westmoreland, F. W. Cass had been on board the SS Rotorua northwest of Scotland when it was sunk by U-96 under Lehmann-Willenbrock on the 11th of December, 1940 (Waters, p.132). 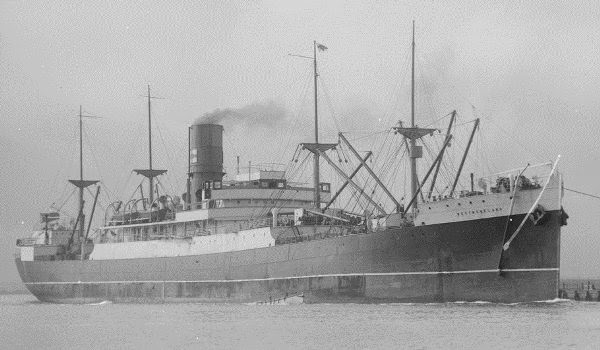 Henry R. Mallory was built in 1916 for the Mallory Steamship Company Inc. of New York and used by the US Army as a troop transport in the First World War. In 1918 the US Navy acquired her for the same purpose – sending troops to Europe. Reconverted to a passenger ship between 1919 and 1942, the US Army requisitioned the ship in July of 1942. She was sunk on the seventh of February 1943 by the German submarine U-402 under Siegried Freiherr von Forstner between Halifax and Reykjavik, Iceland with the loss of 272 lives out of the 494 persons on board. 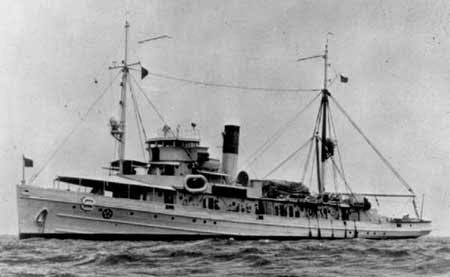 The rescue ship S.S. Cathcart survived the war and was sold to China in 1946 and renamed several times (Tung Hai and Po Hai). She was then flagged to Panama as the La Compana in 1950, and thereafter renamed the Jagjanani and the Diana. She was dismantled in Hong Kong in 1967, sold from the ownership of the Doreen Steam Ship Corporation of Panama. On the way back to Brest U-566 was refueled by U-459 west of the Azores in mid-June and made it back to base on the 30th of June 1942. After July 1942 Dietrich Borchert moved to various shore roles and received the Iron Cross First Class. Over five patrols Borchert accrued 196 patrol days and accounted for two ships sunk of 13,148 tons. As of September 2014 Dietrich Borchert, who was born in Marnitz, Germany on 28 February 1909, is still believed to be still living. USS Gannet was attacked and sunk by U-653 off Bermuda on Sunday June seventh, 1942. Although she was to be returning from the Westmoreland search in league with HMS Sumar, due to a lack of communication that ship hurried back to Bermuda without rescuing survivors, who were picked up by planes from Patrol Squadron 74 landing on the ocean and the destroyer USS Hamilton, DMS 18. The incident embarrassed the British and strained relations between US and British naval officials in Bermuda and beyond. USS Gannet, which was sunk by U-653 whilst returning from the attempted rescue of SS Westmoreland survivors in the morning of Sunday 7th June 1942. Waters, Sydney D., “Ordeal by Sea: The New Zealand Shipping Company in the Second World War 1939 – 1945,” New Zealand Shipping company Limited, London, 1949 – a highly valuable resource of first-had information on the ship owning firm as well as the vessel and its people.